What it is: Newspaper subscriptions have gone down significantly. 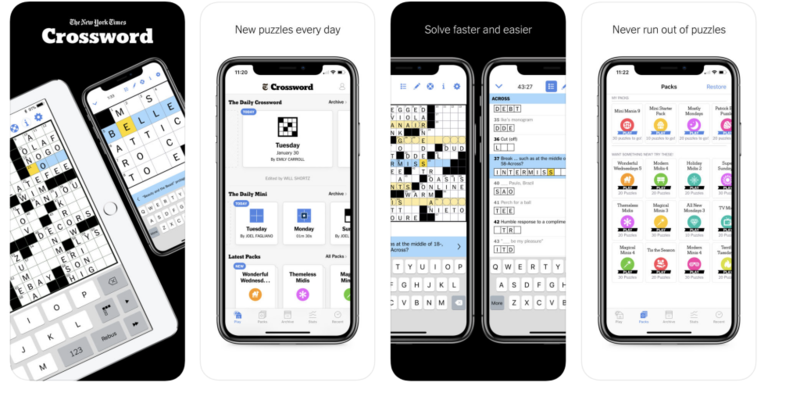 If you’re one of the people that only got the New York Times for the crossword, you’re in luck! There’s an app for that! What I love: I love a good crossword puzzle and few are better than the New York Times. Admittedly, it’s a hard puzzle to crack, but in addition to the daily puzzle, there’s also a mini version. The “Midi” (not “Mini”) offers 15 9 x 9 puzzles that are easy and easy to medium. The “Mini” starts off really easy; I finished the first one in 40 seconds because I answered the “across” questions correctly and didn’t need to answer the “down” questions. It takes a little longer if you get a letter or word wrong, because you’ll have to go back and play around. Still, if you want to build your confidence, start with the Minis. What I’d change: There are some freebies, but you’ll quickly get into the in-app purchases if you whiz through them or want access to the harder puzzles. It’s also a bit difficult to figure out how to navigate on the larger daily puzzles, especially if you’re using a smaller device like a smartphone.